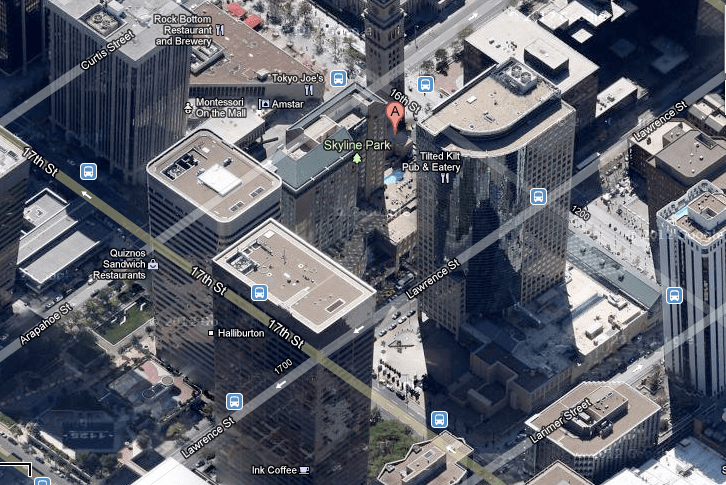 Does your city have a parking crater problem? If so, it’s probably time for an ordinance prohibiting property owners from demolishing buildings and turning them into parking lots. In the 1990s, this type of legislation helped dramatically transform part of Denver from a surface parking wasteland into more of a real downtown. 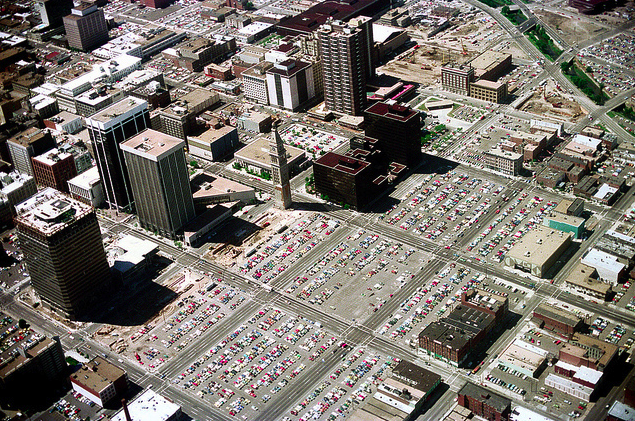 Today, other cities are considering laws along the same lines, including Tulsa, which recently took home Streetsblog’s Golden Crater Award for America’s worst downtown parking crater. That’s all really great news in my opinion, especially when parking lots supposedly cover 20% of downtown. In addition to the above, city council is also working their way toward banning demolition of buildings throughout the entire city, unless an owner has submitted plans to replace the structure. Thankfully, city council is thinking this little tidbit through: normally, if an ordinance forbids demolition, but a property owner really, really wants the building gone, they sometimes let it fall into disrepair, making it unsafe and eligible for demo. Not the case with this ordinance. In the event that a building is deemed unsafe, the owner actually has to provide a bond for landscaping and maintenance of the site. Clever, right? Didn’t anyone ever tell the folks in our local government that missing teeth (empty lots as a result of demolition – often to accommodate street parking) and parking garages really kill the life on streets? Elsewhere on the Network today: Walkable Dallas Fort Worth says that TxDOT is acting more like a propaganda arm for big highway projects than a dispassionate public agency. My Wheels are Turning writes that block parties can be a first step in reclaiming streets for communities. And Cap’n Transit explains why large cities need transit. It’s Rochester vs. Jacksonville in the Parking Madness Championship!